"I knew from church that I couldn't believe in both science and God, so that was it. I didn't believe in God anymore." --Mike "When I write a song that's not used in a way that every Christian agrees on, I get hammered. What am I supposed to be using my talents for?" --Sam "I felt like I had been punched in the stomach . . . I remember thinking on the way home, My non-Christian friends would never do that to me." --Sarah "It just feels like the church's teaching on sexuality is behind the times." 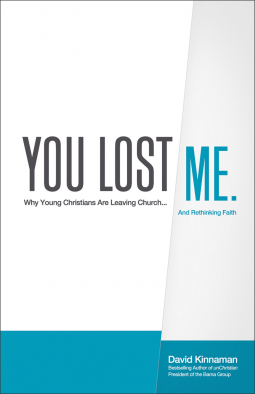 --Dennis Now the bestselling coauthor of unChristian reveals the long-awaited results of a new nationwide study of 18- to 29-year-olds with a Christian background. Discover why so many are disengaging from the faith community, renew your hope for how God is at work in the next generation--and find out how you can join in.